Even in some ostensibly sporadic cases of amyotrophic lateral sclerosis, rare genetic variants are predicted to a have a hand in the disease. A November 9 study in Frontiers in Molecular Neuroscience went digging for new rare variants within RNA-binding proteins, and identified dozens of new potential culprits in people with familial and sporadic forms of ALS. Led by Pamela Shaw of the University of Sheffield, U.K., the researchers claim that the disease progressed faster in a handful of patients who had more than one variant, but only when the predicted pathological mechanisms of those variants aligned. Though based on a small number of patients, the results trend toward the idea that rare genetic variations, and interactions between them, define the genetic architecture of ALS. An October 4 paper in Neurology demonstrated that such genetic diversity might influence the success of clinical studies. A post-hoc analysis of results from three failed clinical trials found that while lithium carbonate did not benefit ALS patients overall, it appeared to lengthen survival in a subset of people who carried a mutation in the UNC13A gene. Scientists hope that a more comprehensive genotyping of ALS-related variants will enable more pharmacogenomic drug studies and, eventually, treatment decisions in clinical care. The genetic underpinning of ALS is complex, to say the least. Scientists believe that the disease has an oligogenic basis, whereby interactions between multiple risk genes dictate whether, when, and how severely a person is afflicted with ALS (see Jan 2013 conference news; van Blitterswijk et al., 2012; Aug 2016 news). RNA-binding proteins are highly enriched for ALS-linked variants (reviewed in Ito et al., 2017). In addition to RNA recognition motifs (RRMs), some of these proteins contain prion-like domains (PrLDs), which facilitate the formation of RNA-laden membraneless organelles via liquid-liquid phase separation, and may cause toxic aggregation (see Oct 2015 news; Oct 2016 news; May 2017 conference news; and reviewed in Harrison and Shorter, 2017). On the other side of the coin, at least one RNA species itself—transcripts derived from repeat sequences in C9ORF72—could also lead to ALS (see May 2015 news). First author Johnathan Cooper-Knock and colleagues decided to hunt for rare variants among RNA-binding proteins. 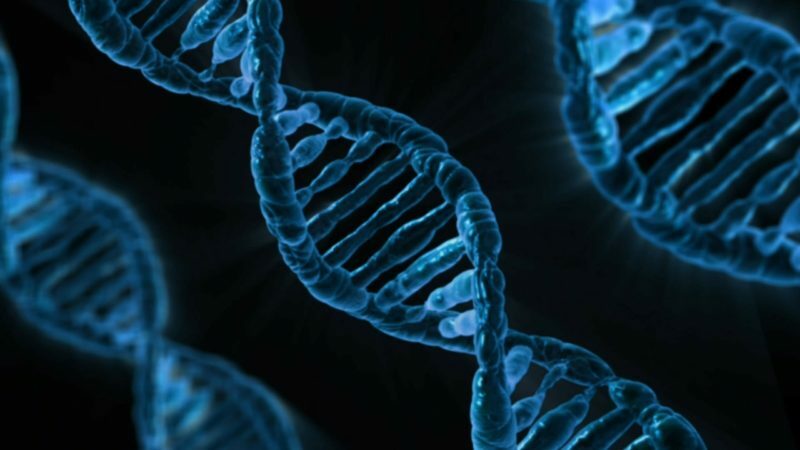 They sequenced DNA from 103 ALS patients, including 13 familial cases with an expansion in C9ORF72, 42 familial patients without a known genetic cause, and 61 patients with early onset, sporadic ALS. They searched for rare variations within 274 genes, which included known ALS genes and RNA-binding proteins, selecting mutations that both occurred at a low frequency in the human population and scored high on CADD, an algorithm that estimates the pathogenicity of mutants. They split the mutants into two categories: RNA-binding proteins containing PrLDs, and RNA-binding proteins known to bind the G4C2 repeat sequences transcribed from C9ORF72 expansions. The researchers identified both previously known and new mutations. Among 19 patients carrying novel, rare, deleterious mutations in RNA-binding proteins with PrLDs, three had more than one variant. Of the 21 total variants in this category, three-quarters landed within either the RRM domain or the PrLD. The three patients carrying more than one variant died sooner after their diagnosis. The presence of a C9ORF72 expansion did not appear to affect how long patients lived. While acknowledging that the data come from only three patients, the researchers said the field may want to test the idea that mutations in this class of genes might exacerbate toxic protein aggregation, and that having two or more variants exacerbates this effect. The researchers reported that 18 patients harbored new variants in RNA-binding proteins known to bind G4C2-repeat expansions. Five of the 18 also had a C9ORF72 expansion, and they died sooner than did patients without the expansion. In two pairs of patients, the same gene—either SLC1A3 or EEF1G— was mutated in one patient with, and one without, the C9 expansion. In both pairs, the person with the expansion had about half the disease duration. The researchers suspect that this faster progression could be due to the combined effect of sequestration of RNA-binding proteins by G4C2 expansions, and the malfunction of RNA-binding proteins they associate with. Both would have essentially separate functional RNA-binding proteins from their physiological targets. Cooper-Knock told Alzforum that the data underscore a complex polygenic basis of ALS, and point to the importance of considering how genetic variants interact in disease. “Perhaps the emphasis should slip from exactly which mutation a person has, to which pathways are involved,” he said. Categorizing genetic variants by function could also help efficiently target them therapeutically, he added. Simon Alberti of the Max Planck Institute of Molecular Cell Biology and Genetics in Dresden, Germany, agreed that the findings support the oligogenic nature of ALS, particularly in regard to RNA-binding proteins that take part in the formation of RNA granules (reviewed in Alberti, 2017). “Every protein that has a defect might push the granules further toward a more solid-like state,” he told Alzforum. This, in turn, might promote toxic aggregation and/or alter the physiological functions of the granules, he said. He was uncertain about the authors’ separation of RNA-binding protein mutants into two functional categories, adding that this initial genetic correlation study must be followed up by larger genetic studies, as well as cell biology and biochemical studies. The meta-analysis published in Neurology exemplifies the importance of considering the genetics underlying each person’s disease. Ammar Al-Chalabi of Kings College London, Leonard van den Berg and Michael van Es of University Medical Centre Utrecht, the Netherlands, and Adriano Chio of the University of Torino, Italy, and colleagues predicted that a patient’s response to a given treatment is dictated by which mutations he or she carries. To test this hypothesis in sufficient numbers, they looked to clinical trials of lithium carbonate, as this drug has been tested multiple times in ALS. They pooled data from three failed trials and analyzed the subgroup of patients carrying either of the two most common genetic variants linked to ALS risk: C9ORF72 expansions, or mutations in the UNC13A gene. Among 518 participants with genetic data available in the three trials, 261 received lithium, and 257 either a placebo or a subtherapeutic dose of lithium. The researchers compared 12-month survival across the trials, finding that lithium treatment had no benefit overall. However, among the 46 UNC13A mutation carriers, lithium treatment boosted 12-month survival to nearly 70 percent, compared with the 40.1 percent in the control group. The 25 C9ORF72 expansion carriers, on the other hand, saw no increased benefit from lithium treatment. “If upheld by a confirmatory study, as suggested by the authors, this is a major accomplishment that brings treatment of ALS into the realm of precision medicine,” wrote Carmen Armon of Tel Aviv University in Israel and Orla Hardiman of Trinity College in Dublin in an accompanying editorial. They support the idea of conducting future trials in UNC13A mutation carriers. Performing a confirmatory trial would require screening of more than 1,000 ALS patients. “If confirmed, it may offer a simple, inexpensive intervention to one in six people with ALS that increases their chances of survival at one year by 75 percent,” they added. Cooper-Knock agreed that the results of both studies point to the need for both genotyping and functional categorization of genetic variants to effectively treat the disease. van Eijk RP, Jones AR, Sproviero W, Shatunov A, Shaw PJ, Leigh PN, Young CA, Shaw CE, Mora G, Mandrioli J, Borghero G, Volanti P, Diekstra FP, van Rheenen W, Verstraete E, Eijkemans MJ, Veldink JH, Chio A, Al-Chalabi A, van den Berg LH, van Es MA, For UKMND-LiCALS and LITALS Study Group. Meta-analysis of pharmacogenetic interactions in amyotrophic lateral sclerosis clinical trials. Neurology. 2017 Oct 31;89(18):1915-1922. Epub 2017 Oct 4 PubMed. Ito D, Hatano M, Suzuki N. RNA binding proteins and the pathological cascade in ALS/FTD neurodegeneration. Sci Transl Med. 2017 Nov 8;9(415) PubMed. Harrison AF, Shorter J. RNA-binding proteins with prion-like domains in health and disease. Biochem J. 2017 Apr 7;474(8):1417-1438. PubMed. Alberti S. Phase separation in biology. Curr Biol. 2017 Oct 23;27(20):R1097-R1102. PubMed.